There are downsides, though. The card uses a lot of power, up to 300W. And it’s about twice as loud as the GTX 780. If you don’t mind the power (+heat) and noise, and want to be able to max out any game at 1080p and get 60+ FPS, this is the card to get. Get it while you can though, availability will probably be limited. The R9 290X still isn’t available for its MSRP, even though it has been out for almost 2 weeks now, and the 290 is an even better value. For an even bigger list of reviews, look at this thread on reddit’s /r/buildapc. The summary of these reviews is that this card has excellent silicon that is being cooled by a subpar reference HSF. If you have a WC kit, or you are ready to buy an aftermarket HSF, then the R9 290 is a fantastic purchase. Otherwise, the card is just too noisy to recommend. The good news is that non-reference HSF cards will start selling soon, and these are expected to alleviate the problem, as shown by Tomshardware when they installed an aftermarket cooler on the 290X. What about the R9 290X? 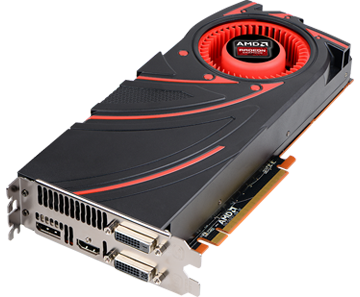 It has been 10 days since AMD released the R9 290X, turning the high-end GPU world on its head. 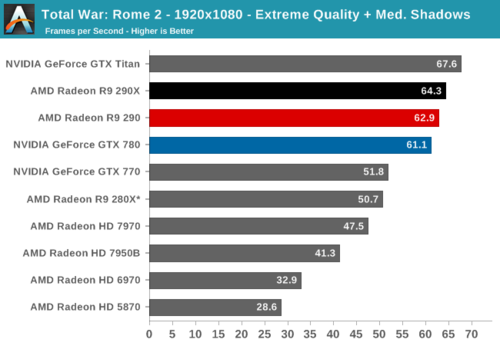 Excellently reviewed for its great performance, the 290X brings Titan-like performance ($1000) for nearly half the price ($550). The R9 290X shines when playing games in 4K resolution, the next step up in screen resolution from the now-common 1080p, and getting-commoner 1440p. It has a couple of bad points: Too hot and loud in its “Uber” mode, and too hot and loud in Crossfire. These points are relatively minor, since you can keep the card in “Quiet” mode, and wait for custom HSFs to be available for purchase before buying a CF setup. So why is it that we still have not added the R9 290X to the list? Simple: You cannot buy it yet. The card has been difficult to find online since launch, and the units that are for sale can be as high as $700. Even the”only $30 overpriced” BF4 editions of the card get sold as soon as they are available. We currently check for availability at multiple US e-tailers, and we check multiple time every day. Once we find that the R9 290X can be reliably available for its stated price, we will definitely add it. Once non-reference HSFs are available for the 290X, we will add it in Crossfire too.